The Film program offers opportunities for filmmaking practice, creative problem solving, intense group work, as well as deep understanding of film textual analysis, socio-cultural international contexts of cinema production and theory, and film history. In T1 Introduction to Filmmaking, students learn the basics of filmmaking practice with an overall focus on critical thinking and creative problem solving. They also cover basics of textual analysis of sound-and-image meaning-making. Students engage in close analysis of excerpts of films and will hone evaluative skills through the use of cinematographic terminology. They create collaborative mock production plans. Emphasis will be placed on process, and this course involves the production of a collection of short works/exercises that will combine the creative skills and theoretical understandings covered throughout the year. These projects involve specific process-based milestones, and incorporate group discussions and peer critique of rough cuts. By the end of this course, students will become perceptive viewers, not only in terms of breaking down cinematic works into various components, but also in terms of interpreting the constant barrage of sounds and images encountered in everyday life. Students will have also amassed a small portfolio by the end of the year. 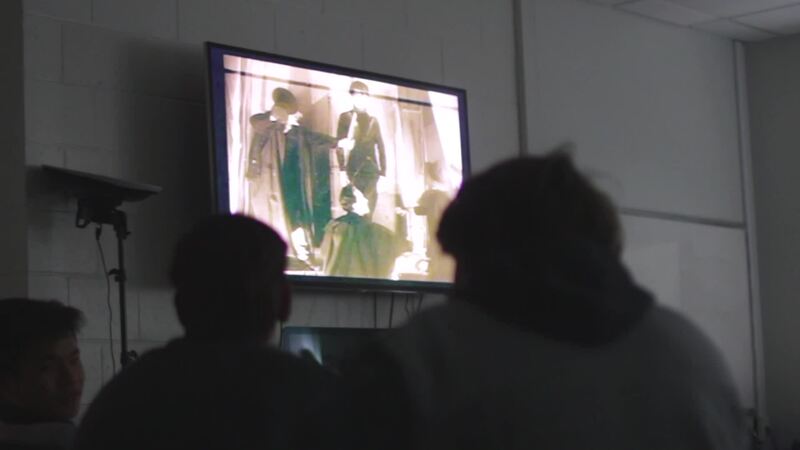 In T2 Film Studies, students survey and discuss a wide scope of cinema, including some of the first films ever made by late 19th and early 20th century geniuses such as Le Prince, Edison, Dickson, and Méliès. Pupils view seminal works from many movements and genres including German Expressionism, the Avant Garde, Silent Film, Screwball Comedy, Film Noir, French New Wave, Cult Cinema, Horror, Psychological Thriller, and Postmodernism. They study basic film terminology, and their assignments include (or may include, depending on scheduling) write film critiques, critique reviews by prominent critics, give presentations on film techniques, write research papers on a film movement, and take a midterm and final exam. In T2 Storytelling through 3-D Animation, we have a thematic thread that runs through the year involving storytelling and the continuing investigation of different perspectives on space and time; this runs alongside the basic steps of 3-D animation: modeling, texturing, lighting, animation, and rendering. Students watch examples of work done digitally, as well as examples of work made with traditional animation techniques that have been shot frame-by-frame on 16mm and 35mm film. Students use Autodesk Maya 3-D software, which is industry-standard software, to create their animations. As a group, we also use Final Cut Pro to add and composite live-action videos. Students also use their hands to draw and sketch in their journals and use real-world (non-virtual) materials in order to light and model their ideas in time and space. Students also analyze each others' works in peer critique, and write analyses of real-world works and models in their journals. They collaborate as a group on scenes that comprise a whole short work toward the end of the school year. In T3/T4 IBS/IBH Film, students engage in intense production, as well as study and textual analysis of selected films, time-based texts, and standard texts; students explore all aspects of filmmaking practice, film genre, history, theory, cultural and socio-economic contexts and productions, individually and in groups. The course will focus on developing critical thinking through focused analytical study providing an understanding of a wide range of perspectives and representing international points of view. Furthermore, it will foster awareness of sound-image relationships as a meaning-making force, and examine cinema as a language in its own right. This class involves serious screening situations, workshop-style instruction, peer critique, process-oriented production milestones and discussion. We combine a variety of tools and exercises inside the studio and cast an evaluative eye toward all parts of the filmmaking process. The instructors play a role in which they guide students to awareness of their meaning-making choices through use of sound and image, to encourage deliberate artistic choices, and to direct a community young filmmakers to become engaged with their peers as well as broader outside audiences. The IB-prescribed assessments are engaging and challenging. A student-made short documentary about the IB Film Program. 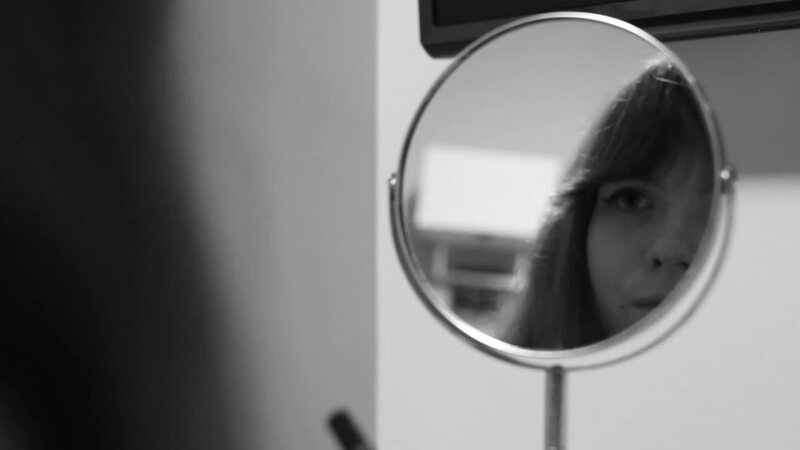 Identite: A film created by our students, Serena Aimen and Sofia Rao.